I saw this tutorial by Kirakiranail and I really liked it, so I decided to switch back to regular nail polish for this one. It looks messy and really easy, but if I'm going to be honest, I actually had to do it twice. What I figured out was it is best to keep the color concentrated to the center of the nail, and not so much to the outsides. So second time around, I was much happier with it. Only problem I had was a gummy white polish. 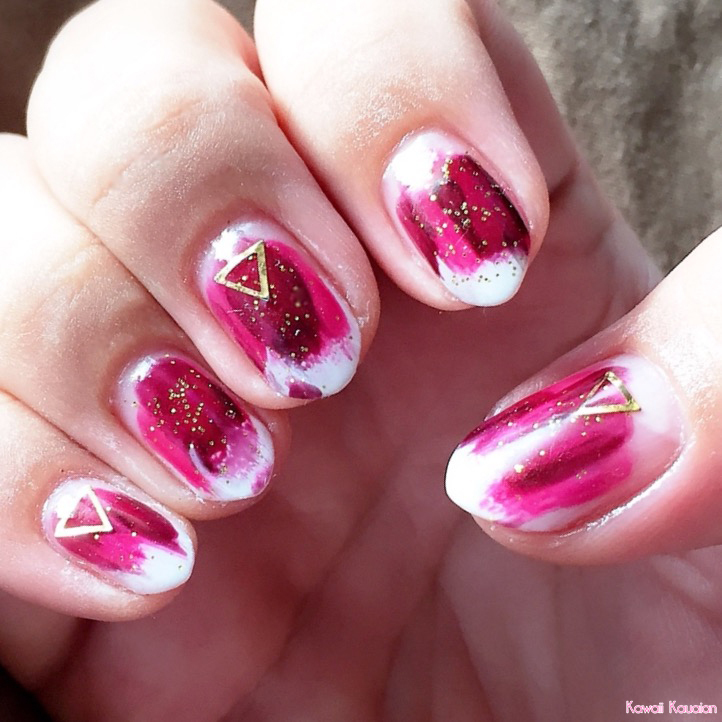 I didn't add the gold glitter to this one and instead used some gold triangle nail art that I had, which was annoying because I had to bend them by hand to lay on my nails (they are metal). Switching back to normal nail polish turned out to be a mistake, because my manicure almost immediately chipped. I couldn't stand it, so I redid my manicure in gel. I had to mix my own colors, but I think they came out pretty good! 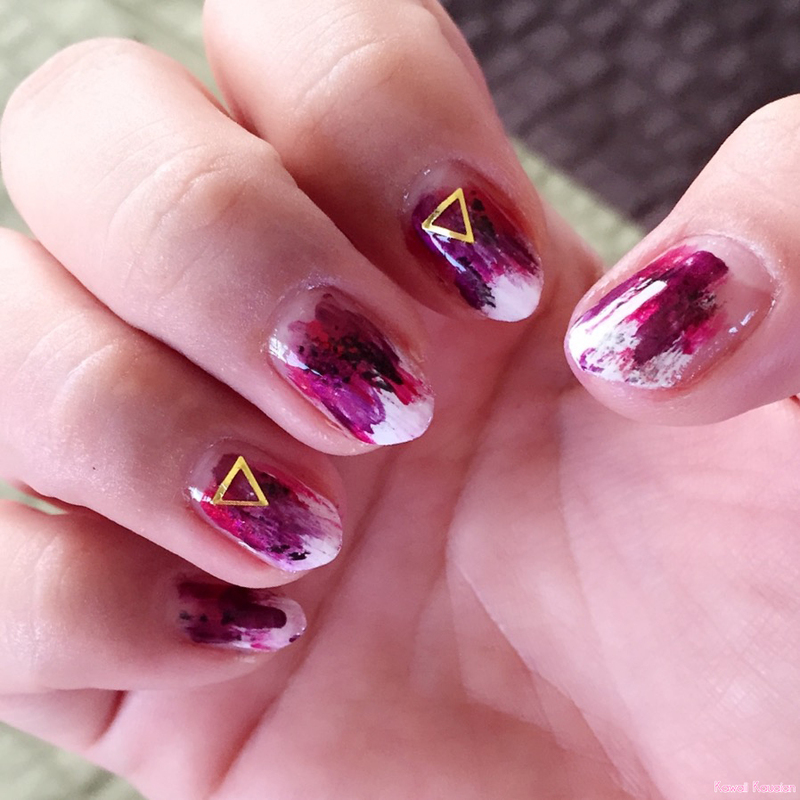 I added gold glitter to this, as well as the metal triangles. This is probably one of my favorite nail designs. It was really simple and easy!